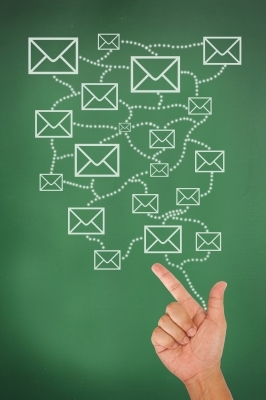 Email marketing is using email to get your marketing messages in front of your audience. Email Marketing includes everything you need to manage your mailing lists and send professional email campaigns by our email marketing system. Email marketing also includes special email promotions, daily deals emails, solo blasts, advertising, follow up sequences and auto responders, email courses, and more. Email marketing in Cambodia is popular because it is relatively easy, quick to get started, and inexpensive. Get your brand image and name in front of your audience more often by including your logo, tagline, color palette, and brand graphics in the template design of your email communications. Email marketing helps you stay in touch with your audience ensures that when your services, products, or programs are needed, they will buy from you or refer their friends, family, peers, and contacts to you. Your email newsletter is a great place to keep your clients up to date with what’s news in your business. Publishing an email newsletter can help you generate new opportunities such as strategic partnerships, joint ventures, media interviews, speaking engagements, and more. Email marketing helps you grow your network and build your list by allowing you to capture the email address through a website opt-in box. A series of articles written for your email newsletter on one topic, can be repurposed into an ebook, whitepaper, guide, or even a free audio for content marketing. Drive your email newsletter subscribers back to your website by promoting recent blog posts in each issue.